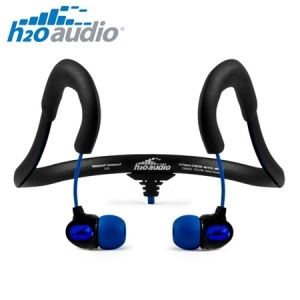 The H2O Audio headphones has been given an intelligent design for a comfortable fit that will remain secure. The Sportwrap 2G headphones attach over the ears via padded straps that will be kind on your ears even for prolonged use. Each ear-strap is then fitted with a headphone that dangle down in order to eliminate messy cables.